This is a serialized sci-fi novel that will be released one episode at a time until it is complete. It focuses on three main characters who meet up innocently enough only to find themselves a part of a galaxy-wide conflict. It is a story about the nature of life, intelligence, and our chauvinistic view of the world. I have already written the first episode and half of the second episode (spoiler alert: there’s no ending). There is a third story currently in summary form, and I’ve completely outlined the remaining six. 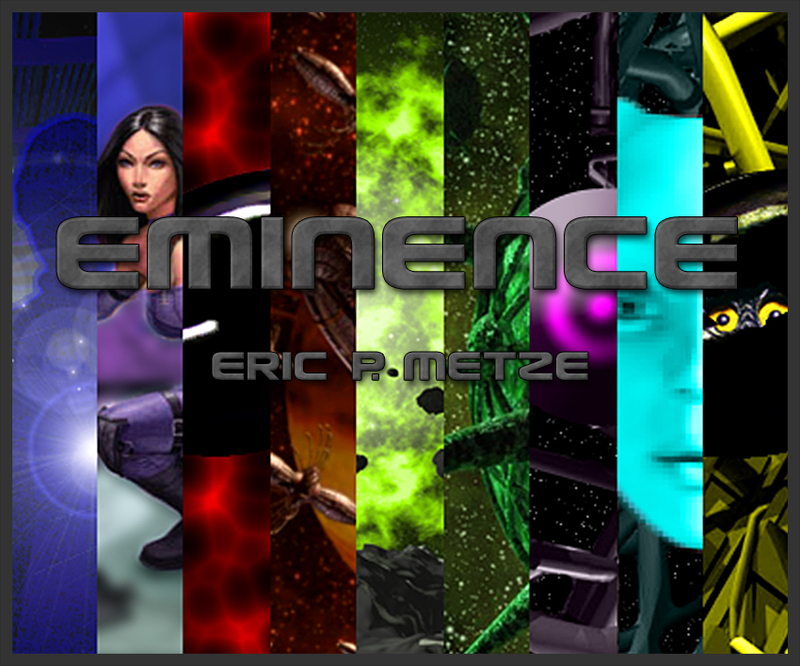 Eminence is a serialized sci-fi novel that will be released one episode at a time until it is complete. It focuses on three main characters who meet up innocently enough only to find themselves a part of a galaxy-wide conflict. It is a story about the nature of life, intelligence, and our chauvinistic view of the world. It takes place just far enough in the future where people are inhabiting other planets, but not so far that they are completely alien to us. The themes will emphasize (among other things) the philosophy, conflicts, and prejudices associated with labeling any kind of intelligence “artificial.” I have already written the first episode and half of the second episode (spoiler alert: there's no ending). There is a third story currently in summary form, and I've completely outlined the remaining six.